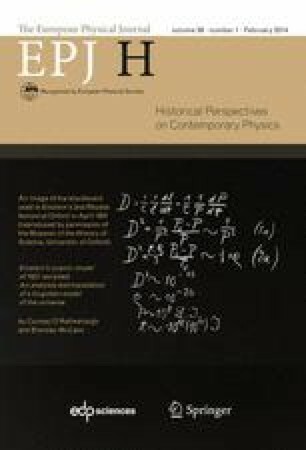 We present an analysis and translation of Einstein’s 1931 paper “Zum kosmologischen Problem der allgemeinen Relativitätstheorie” or “On the cosmological problem of the general theory of relativity”. In this little-known paper, Einstein proposes a cosmic model in which the universe undergoes an expansion followed by a contraction, quite different to the monotonically expanding Einstein-de Sitter model of 1932. The paper offers many insights into Einstein’s cosmology in the light of the first evidence for an expanding universe and we consider his views of issues such as the curvature of space, the cosmological constant, the singularity and the timespan of the expansion. A number of original findings concerning Einstein’s 1931 model are presented. We find that Einstein’s calculations of the present radius and matter density of the universe contain some anomalies: we suggest that his estimate of the age of the universe is based on a questionable calculation of Friedmann’s: we find that the model is not periodic, contrary to what is often stated. A first English translation of Einstein’s paper is included as an Appendix.